Taking a day trip on Ontario roads is one way to enjoy our stunning fall season. Autumn is a perfect time to take in the changing foliage, brilliant leaves and the beautiful blue sky. Even though driving can be a pleasurable past time, there are some seasonal dangers that you should be aware of. 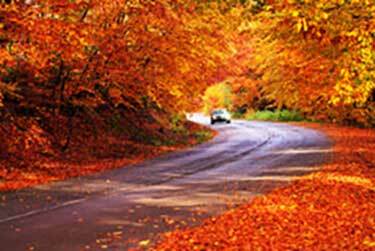 Road and driving conditions change with the onset of fall so here are 15 driving tips for you to enjoy the fall season and be safe. From wet or frozen leaves, to quickly changing weather conditions, to black ice, fall driving in Ontario can present drivers with challenging conditions that require extra precautions. Here are some tips for slippery fall driving conditions. Stopping room - Give yourself plenty of room to come to a stop at intersections and when following other vehicles. Slow corning - Slow down when taking corners, especially on blind corners where you don’t know what’s ahead. Leaves on the road - Be aware of leaves on the road. Both wet and frozen leaves are very slippery. Changing weather conditions - Check weather conditions before you drive. 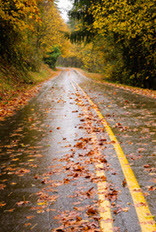 Be prepared for quickly changing weather patterns that could lead to slippery driving conditions. Black ice – Slippery black ice is common in the fall. It is very difficult to spot making it even more dangerous. Pay extra close attention on wet and damp days when temperatures are around the freezing point. When fall arrives in Ontario the new season brings many different factors that drivers need to be aware of. With the sun lower on the horizon, commuters and drivers battle with increased sun glare. And the changing sunrise and sunset times in the fall change the light conditions for drivers – particularly during rush hour. As autumn moves into winter, we have less daylight hours. In the later afternoon, pedestrians, cyclists and children playing on streets are harder to see. According to The Weather Dudes, fog is more common in the fall and early winter. These conditions reduce visibility – particularly in valleys and low areas. Cold mornings can result in frost on your windows causing reduced visibility. One final caution – the autumn months is the mating season for deer. Although a hazard at dusk most times of the year – they are particularly active in the fall. Sun glare – Sun glare is stronger in the fall. Keep sunglasses in your glove compartment for those days when there is high sun glare. Frost on windows – Make sure you have a scrapper in your car cleaning frost off the windows. Warm your car up and ensure you have good visibility before you drive. Reduced visibility with less daylight – With less daylight in fall it makes it difficult to see for children, pedestrians and cyclists. So always be alert and pay attention to the situation outside your vehicle. Low beams for fog – Low beams give you better visibility when driving in the fog. High beams reflect off the fog and make it more difficult to see. Use your fog lights if your vehicle has them. Deer are more active in the fall – Driving experts recommend not swerving to avoid a deer. It is likely more dangerous if you collide with another vehicle. If you encounter a deer, brake firmly, beep your horn and duck below your dashboard if possible. 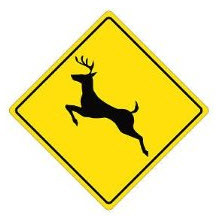 Slow down where there are deer crossing signs and pay attention to shoulders and sides of roads. Changing fall weather conditions means it’s time to make sure your car is ready for the colder weather. Simple things like checking your washer fluid, lights and wiper blades can go a long way in keeping you safer while driving in the fall. Wiper blades - Check the condition of your wiper blades to make sure they in good condition for colder weather. You can also switch to winter wiper blades which are designed for cold and winter conditions. Winter washer fluid – When fall comes switch start use winter washer fluid which is designed to work in cold weather and not freeze. They are usually rated for temperatures of - 35°C to -49°C or more. Tire pressure – Keep an eye on your tire pressure. Fluctuating temperatures can cause your tires to expand and contract leading to loss of tire pressure. Winter tires – Winter or cold weather tires are designed for temperatures below 7°C. So when the temperature starts dropping below 7°C that is a good guideline for putting on your winter tires. Head lights – Are having trouble seeing ahead at night. Make sure your head lights are clean, working properly and aimed correctly. Here is an article on how to check to see if they are aimed properly and ways to fix. It may be too much for most people so if think there is a problem it’s best to have your mechanic look into it. Driving for pleasure it at its best in the fall. Make sure that you get out and enjoy the season before the winter drives us all indoors. But be prepared for the changing light conditions, fog, reduced visibility and changes to your car. 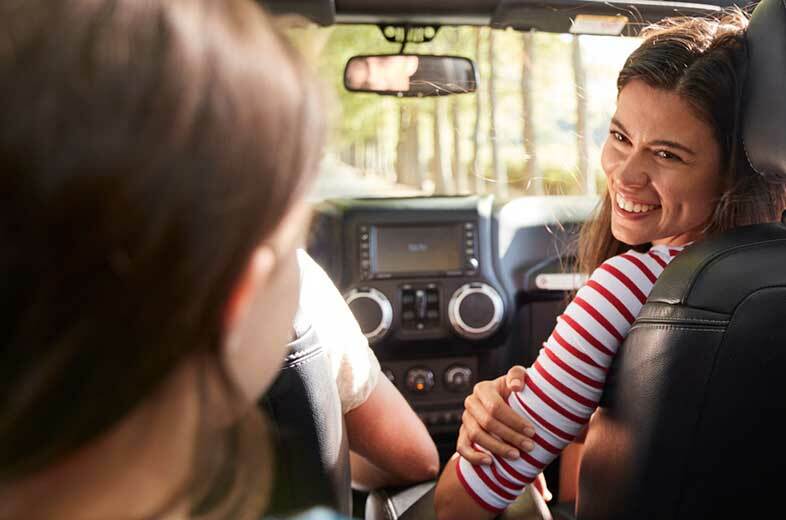 Knowing these factors will ensure your safety and those you share the road with.